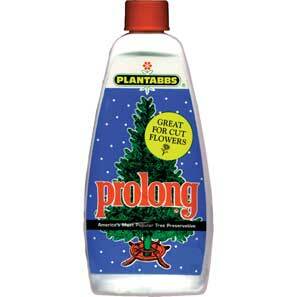 • Prolong’s special formula is an easy, effective way to keep Christmas trees fresher, greener, and safer. • Prolong causes trees to absorb more water than usual, thus keeping trees fresher, longer. 3 teaspoons with 1 quart of water. • Great for cut flowers too. • Packed 36 per case, in a counter display, $1.60 each.